Gooses! Geeses! 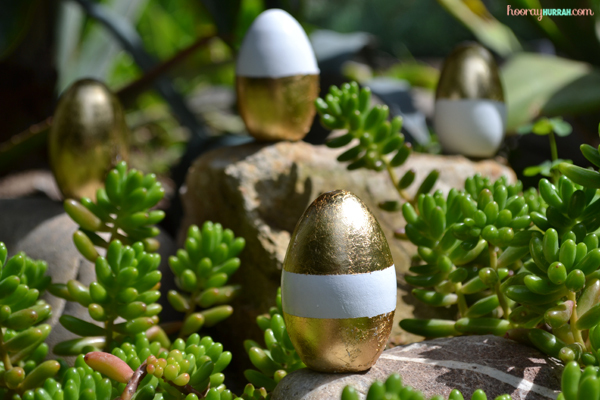 I want my geese to lay gold eggs for Easter! Cover the area that you want to remain white with washi tape. 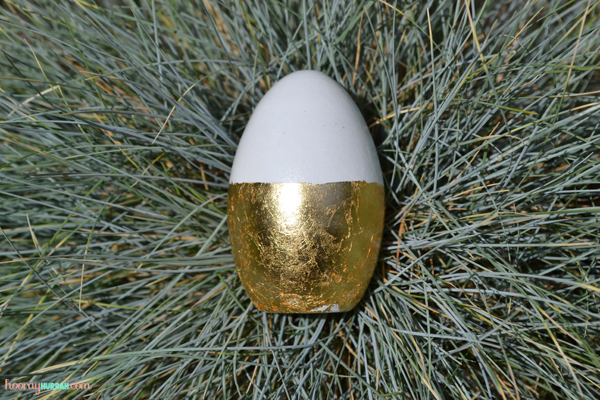 Use your brush to apply a thin layer of metal leaf adhesive onto the surface of the egg. Wait 30 to 45 minutes for the adhesive to dry and become tacky. 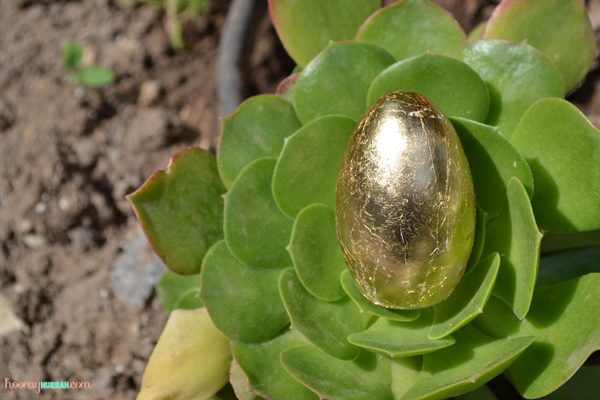 Gently pick up a sheet (or part of a sheet) of gold leaf and apply to the tacky surface, firmly pressing into place and smoothing it out as you go. Use your brush to remove any excess gold leaf. 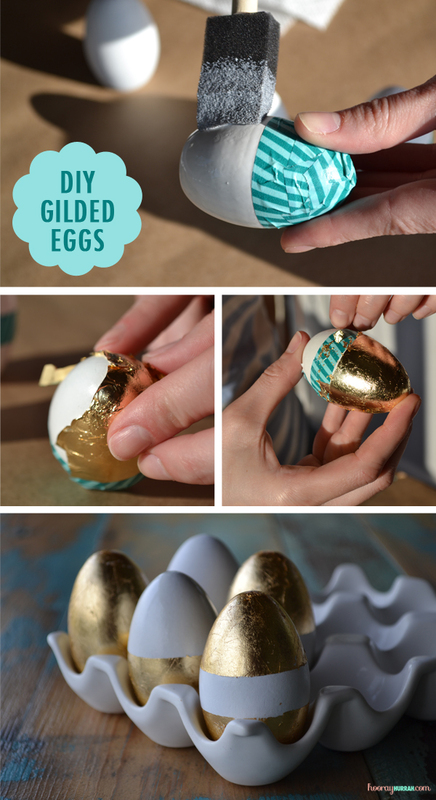 Very gently, peel the washi tape off of the eggs. 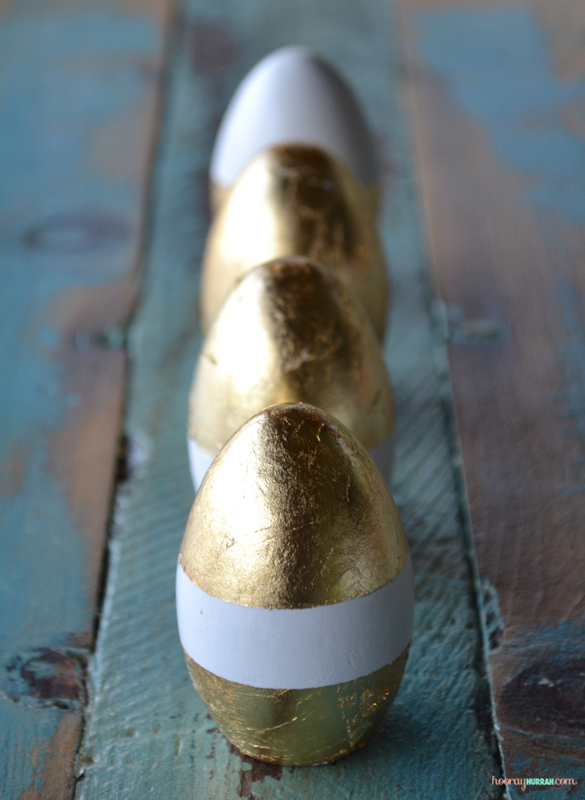 This entry was posted in Decor + DIY, DIY and tagged craft, diy, easter, eggs, gilded, gold, gold leaf, spring, washi tape. Bookmark the permalink.